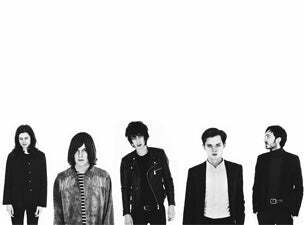 The Horrors head to the Royal Albert Hall next May to celebrate the 10th anniversary of second album Primary Colours. The Indie rockers announce a special one-off Primary Colours 10th anniversary show at London’s Royal Albert Hall in May 2019. Celebrating a decade since the release of their iconic second album, the band will play the record in its entirety as the gig marks their only UK performance of 2019, and takes place on 9 May. The now classic Mercury Prize-nominated Primary Colours was produced by Geoff Barrow (Portishead) and represented a departure from the sounds of their debut Strange House, which was released in 2007. Primary Colours featured the singles Mirror’s Image, Sea Within a Sea and Who Can Say. Since then, the band have released two top 10 albums, Luminous in 2014 and V in 2017. The band also released Skying in 2011.